A spot of confusion had me wandering along the beach while the rest of the family were sitting in the boat wrapped in musty life jackets waiting to depart. A chap on a yellow bike called me from the beach path while Mrs M provided additional vocal encouragement which could probably have been heard on the mainland. 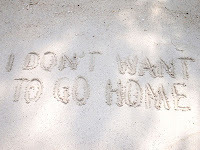 I am always sad to leave the island - I left a message in the sand to that effect. One of the small children in the boat was in tears for the same reason. The location is idyllic, the staff are excellent and the food is fantastic. 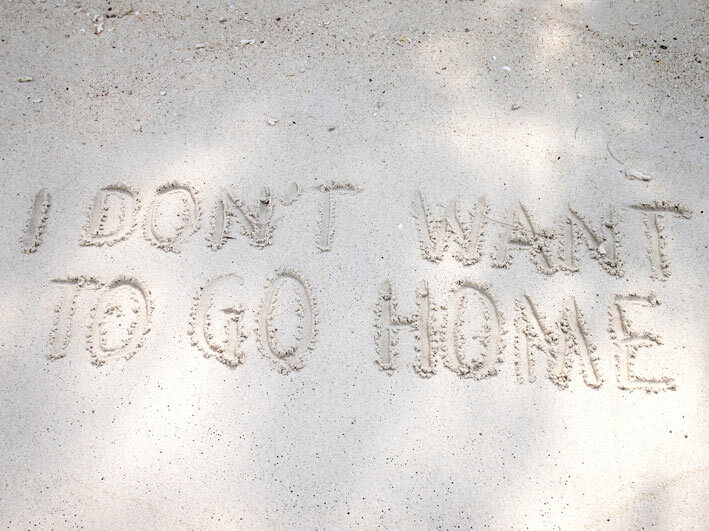 We plan to return to Besar in late June although the Aseania will be closed from May to July for ‘Survivor’ filming. Some sort of cunning plan will be required. The water was considerably calmer than when we arrived four days ago which allowed for more speed. In Mersing, John clambered across three boats with the aid of the crew and we were soon back on the road to Singapore.